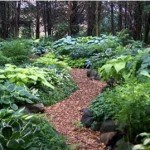 Not all hostas produce seeds. 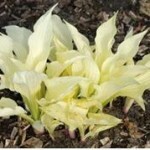 And Hosta that come from seed take a very long time to mature. You can also hybrid Hosta and get new hosta by seed that why when you plant hosta from seeds, you never know what you’re going to get! 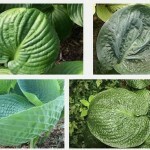 new hosta hybrids is the most exciting, challengingl. A hybrid is created when pollen from the anthers of Hosta flower is placed on the stigmatic surface of the flower from a different Hosta by the nature bee or by man. 4. 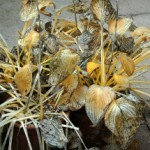 Let the seed pods dry on the stalk in the garden until the pod is dry and about to open. pods start begin to yellow and changing to browncolor after a few day the browning seed pods split open, it’s your time to collect the seed. 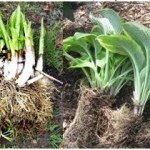 Although hosta seedlings are easy to grow, you can plant anytime after harvest but freezing is the way to keep over the year. 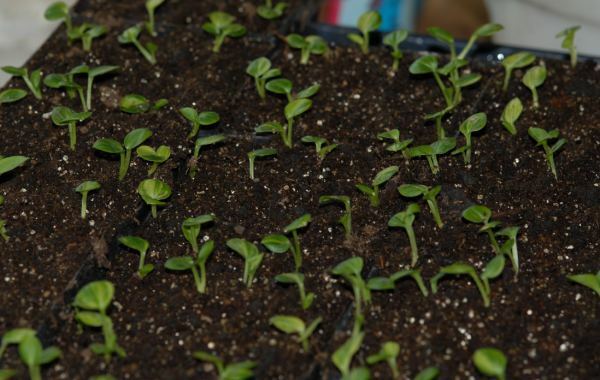 Plant the seed by putting a two to three inch layer of peat moss over seed they do require strong lighting and frequent watering a few day then you will see sprouts showing and breaking the soil surface. 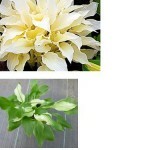 A flower plant can breeding for new number of variety. In natural breed can carry by insect or bee but for the selected plant breeding in control of human could get more accuracy and specify plant. 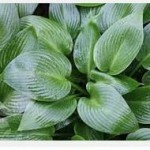 Hosta is one of the popular plant for breeder. One problem for control breeding is the selected flowers don’t bloom in the same time. For the expert they have a technique to keep the ripe pollen for a week by collect ripe pollen by lifting the pistil above the stamens with an open pair of scissors and snipping them off to drop into a folded piece of card. Make sure that the pollen will not falling on the pistil. Keep the stamens with anthers attached stored indoors on paper plates in dry place wind- free ,not direct to sunlight. Stamens collected in a controlled environment can have a single use.In good technique pollen can keep for a few weeks in refrigerate, for longer in freeze or over a year by frozen. 1. start crossing in early morning for warm temperature, high temperature (over80F the crossing will not success. 3. use the fully ripped pollen, Anthers should be open showing fluffy yellow pollen. 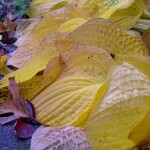 For the hosta pollen that is ready to use, their texture becomes somewhat powdery. 4. Remove the entire stamen by using a small paintbrush to coat the stigma. Make sure you get plenty on it. Only the top/face is sticky. 5. to make the bee keep away recommend to remove flower petals and all stamens. 6. Repeat crossing several times until a bead of liquid appears on stigma to get the better result. 7. Using light, porous material covers the flower to keep it from cross-contaminate. 8. 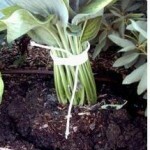 Labelling and recording of hosta plants by tie the label to the pedicel avoid using heavey meterail if not the scape almost to break. 9. waiting for 6-8 weeks till seed pod ripped . 2. Mother plant came from seed, many fertilization are fail. 3. 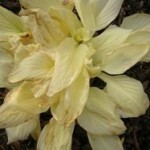 Some hosta hybrids produce little or poor quality pollen. 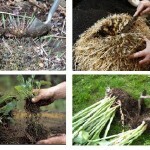 4. heat or dryness condition make the fertile not set well. 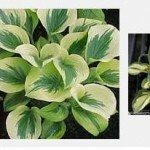 When you hybrid your hosta just remind as following refers to the color of the leaf. 1. Hosta from seeds do not usually come true to the parent. 2. 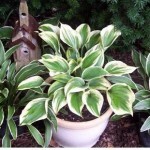 Green hostas will usually produce green offspring except 1 in 100 seedlings may be variegated or gold. If the parent has H. sieboldiana in its background some blue seedlings are also likely. 3. 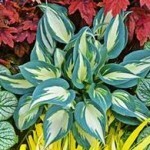 Edge variegated hostas will NOT produce variegated offspring except in 1 in 100 rarities. 4. 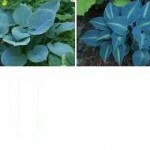 Blue hostas will produce some blue, some green, and some gold offspring and the gold offspring may be lutescent or viridescent along with the chance of a variegated seedling. 5. 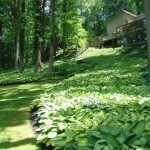 Golden hostas may produce some blue, some green, and some gold offspring that will be lutescent and viridescent. 6. 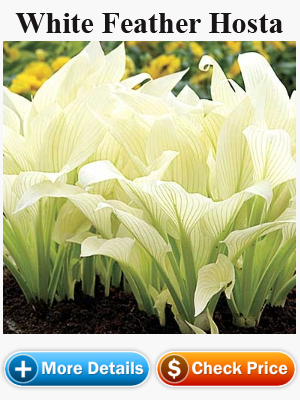 White centered hostas will produce all white hostas that usually die in the seed pots due to less of chlorophyll however these parents will also produce green seedlings as well, if the plant is fertile. 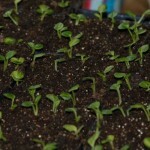 Some white-centered plants give odd seedlings. 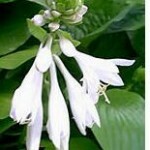 Hostas are in the group of plants that have perfect flowers. That means they have both male (stamen) and female (pistil) reproductive organs in the same flower. 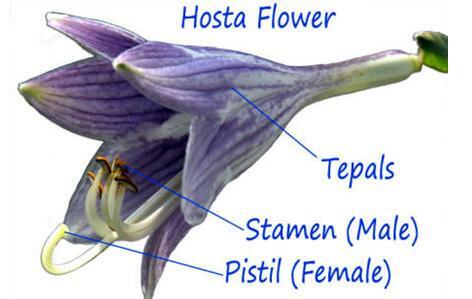 The pistil of Hosta is consists of the ovary, style, and stigma. When the flower is open, the single pistil usually protrudes the furthest. The end curves upward and on the end is a moist, flared pad. 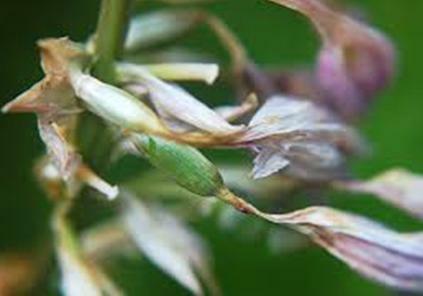 This is the stigma and is where the pollen must be placed in order to successfully pollinate the flower to produce seeds. The male flower part is the stamen – comprised of the filament and anther. 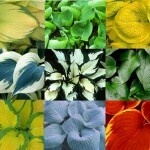 Hosta flowers typically have six stamens, which are usually shorter than the pistil. Each filament holds a single, pouch-like anther. When the flower opens, the anthers split open to reveal the fluffy, yellow pollen grains within. 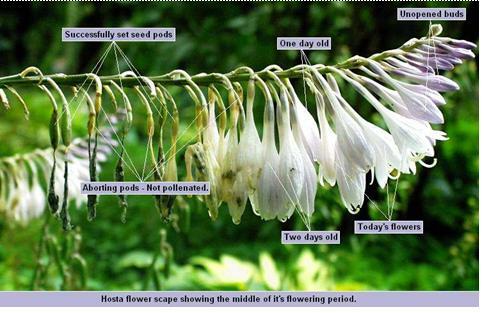 Let bee or others bug do pollinate in your garden is the easy way to hybrid your Hosta. But the cross contamination maybe occur due to you could not control bee or other factor, if you want 100% accurate cross pollination, 2 plant that you select for hybrid should be in a close environment to prevent bees and other insects from pollinating the flowers before you do. (the simple technique is cover the flower with fine netting if you don’t have a green house) . Both plant need to be in flower in the same time and you must to do pollination by remove the flower petals and pollen sacs (stamens). Some breeders use tweezers to apply the actual pollen sac from one flower onto another, while others use artist’s brushes. 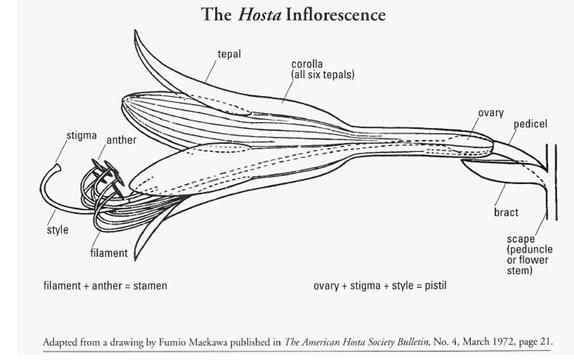 Pollen from one Hosta selected to put on the pistil of another Hosta to combine the good traits of each while de-emphasizing the bad traits. Morning is the best time to do pollination on newly opened flowers to make sure you are the first one to pollinate not other insect. it takes about six to eight weeks from a cross is bred to the seed to ripen.